Email newsletter setup for a Mossy Oak Properties office located in Oregon. 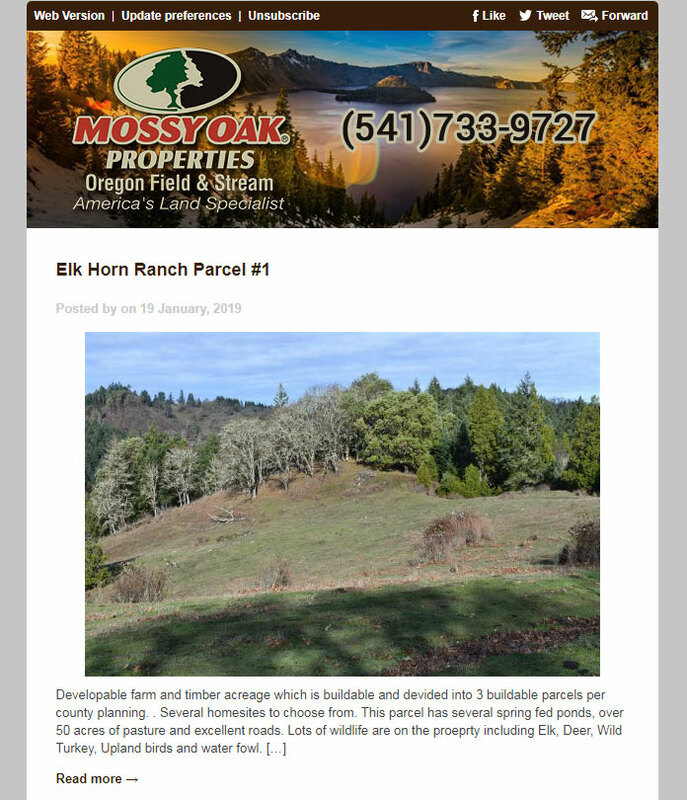 The newsletter gives them an easy and cost effective way to reach out to their clients to announce new properties on the market or price reductions etc. The admin side of the system allows them to monitor the success of the campaigns and allows them to see which listings their clients are clicking on. The email system can also be setup to automatically pull listings and blog posts from their website to post in their newsletter.